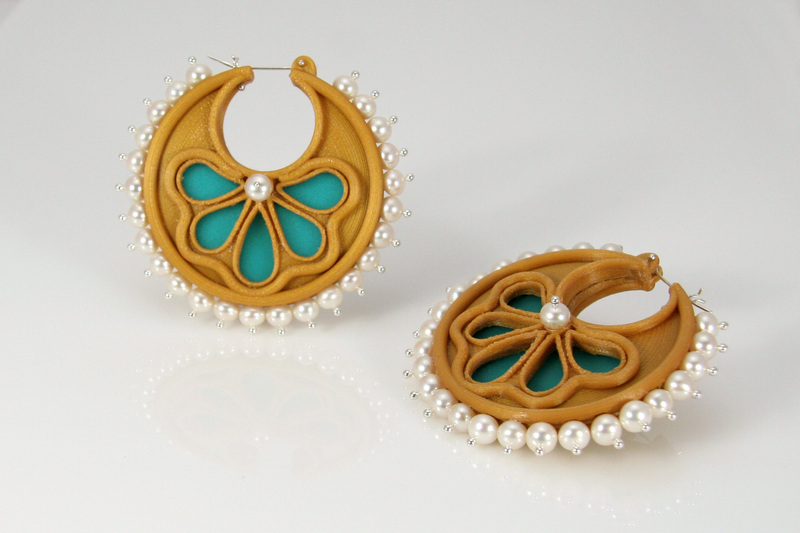 It’s the 21st century, and if you want to be forward-thinking and wear jewelry that reflects contemporary life, the exhibition “Offbeat Bijou” at Florida CraftArt is for you. Meet the artists and curators at the opening reception on January 25 at 5:30 p.m. The exhibition runs through March 2. Independent curators Kelsey Nagy and Melissa Yungbluth invited artists from across the country who make jewelry using nontraditional methods, materials or concepts. “In the current age where more materials and methods are available and interchangeable between media, artists have the opportunity to repurpose and reconfigure established techniques,” Ms. Nagy said. “We looked for examples of contemporary, exceptional jewelry in a variety of materials and styles,” added Mrs. Yungbluth. 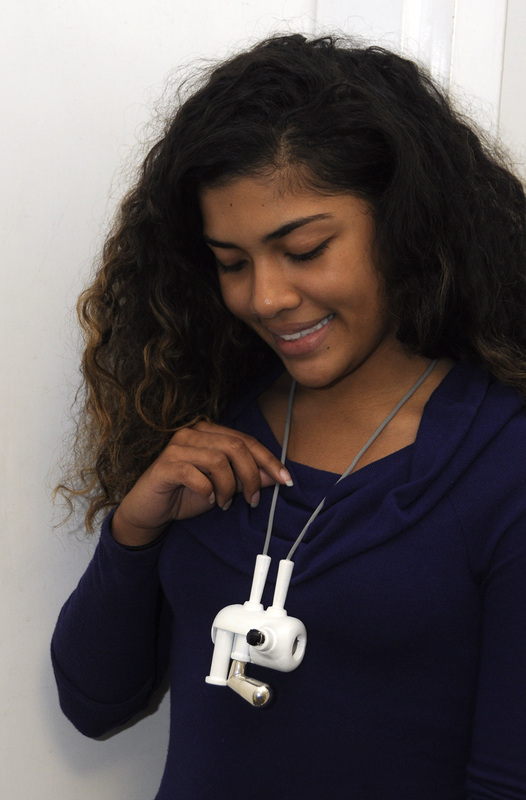 Mellman–Carsey, Zach.jpg: Zach Mellman–Carsey integrates Bluetooth speakers and sound in 3D-printed necklace which is set with a black onyx stone. Oye, Emiko 3.jpg: San Francisco artist Emiko Oye uses LEGO® and semi-precious materials to create colorful, bold statement jewelry. Tatalick-Modern Mycenaean Disc: Kim Tatalick combines the past and present to create contemporary metaphors by referencing ancient Greek designs using current materials. 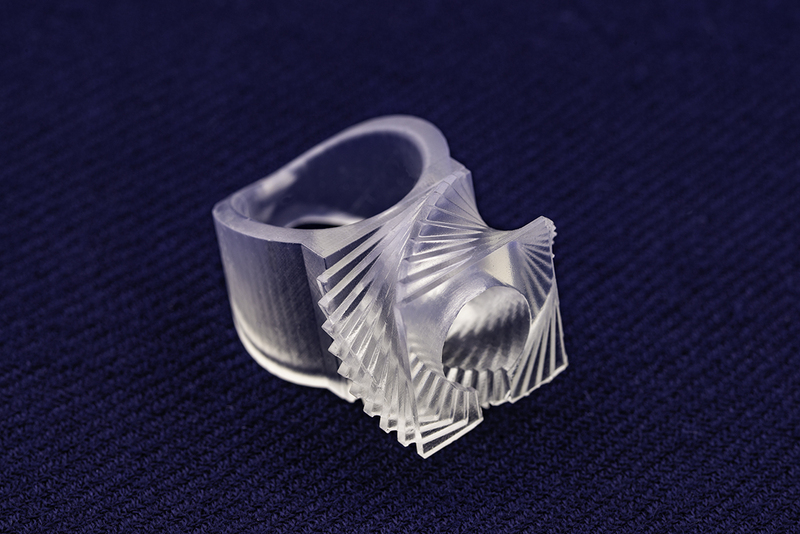 Galavis, Saul Felipe 5.jpg: A 3D-printed ring by architect/artist Saul Galavis.